When to Apply Operational Excellence Programs? Keep in mind however, that without a proper differentiation strategy, mastering operational effectiveness alone is not enough to win the marketplace. Leadership in operational costs of production that allows for low prices is very difficult to sustain. Price wars are very dangerous, so avoid them wherever possible. CIF is a firm continuously improving on value due to improvements in productivity initiated by the members of the general work force. Productivity in CIF is broadly defined to include all facets of product quality as well as output per worker. A basic operating principle of the CIF is that improvements in product quality often produce simultaneous reductions in costs. 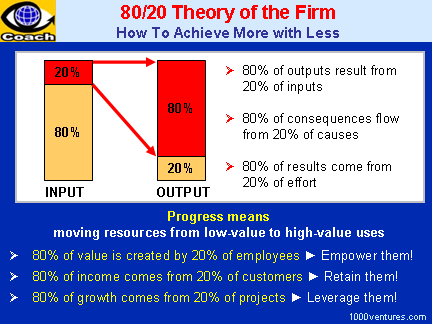 Kaizen is the the Japanese concept of effective management. 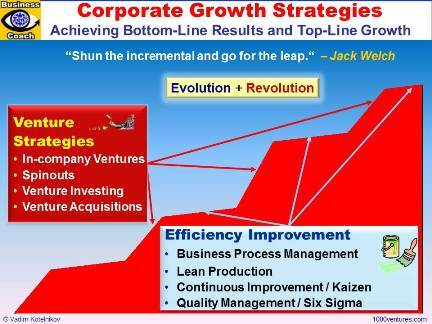 Kaizen strategy calling for never-ending effort for improvement at all organizational levels, is the most important Japanese management concept and the key to the country's competitive advantage. The objectives of Canon Production System (CPS) are to manufacture better quality products at lower cost and deliver them faster. Lean is about doing more with less: less time, inventory, space people and money. EBPM can assist you to develop greater clarity on strategic direction and cascade it through your organization. A process-managed enterprise supports, empowers and energizes employees, encourages their initiative, enables and allows its people to perform process work. Value chain leadership requires cultivation of a shared vision in all participants.